I remember when I had my first taste of politics in D&D. Before that all the adventures I had run and I the adventures I had participated in had a clear plan from the outset. Before we even sat down to play, the GM had an "adventure" in mind. But when one of my friends ran a highly political Birthright campaign, the structure was different. He didn't come to the game with any kind of adventure structure thought out in advance. He just came with a situation and NPCs. I thought it was fantastic. At first it took me a while to realize what he was doing. Once I sensed he was running things differently, I talked to him about his preparations and he told me he just made a bunch of NPCs and power groups before hand, but the real important developments happened in game when he tried to decide how the NPCs reacted to what we were doing. Now this last bit I kind of understood, from the Living Adventure concept in Ravenloft, but even then it was done within a structured adventure scenario. This was much more free form. My friend hardly referred to notes or maps at all, and when he did so it was with a simple glance. I envied that he was so able to participate fully with the players without being chained to a dungeon map or adventure outline. Keep in mind this was before the internet was huge like it is today. We had an internet back then but most of us were not on it and it simply didn't have the volume of users it has today. So something as simple as finding a new way to run a campaign was not an everyday experience. You couldn't simply google "adventure+design" or "political +campaign+RPG". It primarily came from existing RPG books or seeing things done first hand in a campaign. So while this might seem like a minor thing to marvel at, and others had clearly been doing this sort of thing for some time (both in print and at their table), it was entirely new to me. I don't recall the specifics of the campaign but I do remember we had freedom to move, to invent and plan, to forge ahead how we wished. However we were up against people who felt just as clever as us, so there was a real sense of inhabiting a social landscape where actions had consequences and fallout. This was also a highly political game. Because of that, I learned to associate politics and intrigue with freeform adventure and player freedom. After that I would try to incorporate my friend's style into my own campaigns. It didn't come naturally to me but over time I became quite comfortable with it. It had some significant advantages. One was less prep. There may have been some initial prep in advance but I found these campaigns, once they got some steam of their own, propelled themselves forward with minimal upkeep from the GM. The other was I felt much more plugged into the experience as a GM. I mention this because in my current Sertorius campaign things have grown increasingly political. The campaign just started so we began with a somewhat simple adventure structure to give it an initial thrust, but now things are developing and those initial training wheels can come off. Alliances are forming and it looks like we may have a good deal of intrigue in the coming months. From a GM point of view this is exciting because you don't know what the players are going to do. Things could go in any number of directions. Players can make surprising choices, befriending enemies, betraying friends and finding a way to cobble together an influential power block. Campaigns like this force you to think things through. What happens if the King's brother dies under a cloud of suspicion? What happens if those rumors the players started in the capital spread to the countryside? What happens if the players ally with a nearby Hill Tribe to take an important town on the borderlands? What would the council do when they realize the players are slowly weakening their grip on the kingdom? It is not merely a game of "what if" it is also a game of "what now". You have to think throughout he ramifications of events from each session and incorporate them into the next. In political campaigns things often shift and change but also stay somewhat the same. And if the players win the political game, if they obtain what their after, that just leads to more adventure. Once you have power, you have to defend it. In Sertorius magic is innate, you are either born a caster or you are not. However the rules of the game hint at other possible sources of magic in the setting. For example items can be created when a Sertori imbues his or her soul into an object and a Sertori skull can be tapped for residual magical energy. Blood Magic takes this idea and runs with it, making magic available to non-Sertori who perform rituals and use Sertori blood to produce magic effects. This concept isn't my own, though I have been using it in my campaigns. My friend Steve Bowden came up with it in his own Sertorius campaign when he felt he needed a new threat to throw at his players. He devised an elaborate cult that hunted Sertori and used their blood to make tattoos that bestowed supernatural benefits to the wearers. Blood Tatoo (Minor): This draws on the non-cathartic magic of a Sertori using his or her blood to create a Tattoo with temporary powers the wearer can unleash. Creating a Minor Blood Tattoo drains a Sertori of half of his or her magic. Blood Tatoo (Major): This draws on cathartic magic of Sertori using his or her blood creating permanent powers the wearer can unleash. These do not present the risk of griming but do deplete the user of 1 Hardiness for 10 minutes with each use. Creating a Major Blood Tattoo drains a Sertori of all his spells and causes him or her to bleed to death. Sertori Bone Objects: The bones of Sertori carry magic and this can be made permanent if the spirit is bound to the material. Typically different parts of the body can be used for different spells. These can be difficult to control requiring a TN 7 Command roll using the name of the Sertori to cause the spell to function. Sertori Skin: Skin is particularly suited to magic with constant effect (often protective). It is generally less spectacular than cathartic but still serviceable. The Blood Cult is led by Goff-Tan, a Sertori who is loyal to Gesara of Palus (the notorious hunter of Sertori for the Church of Ramos). Called the Dark Shield of the king, he is given special privileges, including the hearts and skulls of Sertori to use in Blood Magic. He is a devotee to Gesara's cause, believing men are born good but the world, and power, turns them evil. 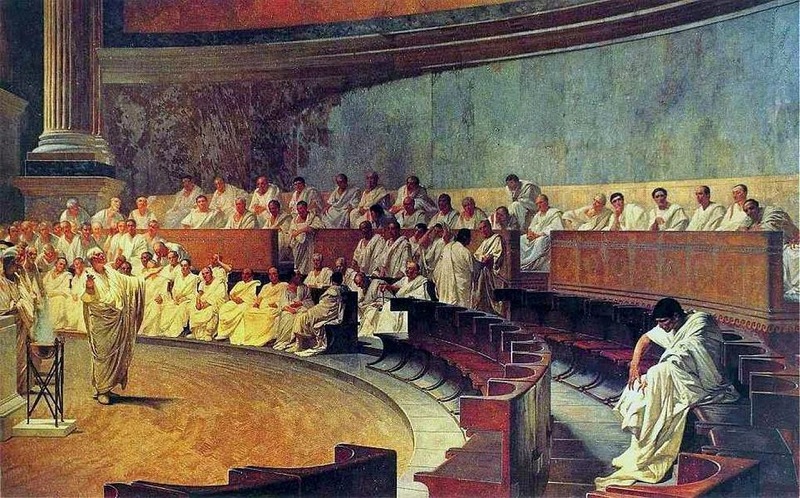 Sertori are corrupted by their power and inevitably but must be destroyed. Most of the blood cultists are normal humans, gru, orcs or elves, but a few are Sertori raised from a young age by Goff-Tan. While Goff-Tan has little compunction about conducting experiments on Sertori he has captured, the Sertori he has reared he tries to save in his own unique way. He imbues them with a loathing for their nature and uses them to assassinate other Sertori with Gesara’s blessing. From his tower near Goff-Tel, Goff-Tan has 50 soldiers under his command who are effectively part of his blood cult. He also has many cultists throughout the kingdom and an inner circle of 6 acolytes led by Nathreen. In addition he raised 4 Sertori he found as children who are loyal to him and Gesara: Rom, Ruegar, Ria and Ruga. Skills: Medium Melee 1d10, Light Melee 2d10, Small Ranged 1d10 or 2d10 with Cross Bow, Wrestling 1d10, Muscle 1d10, Speed 1d10 (40 feet), Detect 1d10, Trade (Alchemy) 1d10, Talent (Tattoo) 2d10, Medicine 2d10, Survival (Wilderness) 2d10, Language (Gruskel) 3d10, Language (Ronian) 3d10, Religion (Church of Ramos) 2d10, Creatures (Sertori): 1d10, Magic (One Type) 1d10. 1. Light: Can create light for about ten minutes. 2. Flame: Can create a burst of fire that does 3d10 damage. 3. Blend: Can blend with environment, taking 10 Stealth for 10 minutes. 4. Strength: Can grow very strong, doing 1 extra wound on melee attacks for a round. 5. Summon: This can be used to summon woodland creatures. 6. Pacify: Roll 3d10 against Resolve, on success target cannot harm person for 10 minutes. 7. Absorb: Can absorb one spell when attacked by it. Spell has no effect, but cannot use. 8. Retribution: If successfully attacked by a spell and survive can cast it back at exact same effect on caster. 9. Lullaby: Sing 1d10 against Resolve, put to sleep for 1d10 minutes. 10. Smite: By touch, causes 4d10 damage against Sertori and causes them not to cast spells for 1 round. Each blood acolyte has one major Blood Tattoo and wears a sertori skin, or has two powers. Using the tattoos is depleting, draining a point of temp Hardiness for 10 minutes each time. Hail of Needles (Power): Hail of Stinging Needles 1d10 against evade, 1d10 damage to everyone in thirty foot area. Total Success drains Evade and Parry by 1 for a minute. Mask of Bal-Tauq: Allows him to read thoughts (1d10 against Wits). Earthbound: Roll 1d10 against a target’s Evade, on a Success their feet are rooted to the earth or stone (Muscle TN 7 next round to escape). Bone Sword of Gel: Anyone struck by sword keeps bleeding for 2 rounds (taking 1d10 damage each round). Damage: 3d10. Invisibility: Can become invisible for 10 minutes. Any Detect roll to spot him is -1d10 and only allows for sound. Alter Features: Can change body and face to look like another person. Ogre Body: Can take the form of an ogre, gaining 4d10 muscle, 6 wounds. Swarm of Insects: Summon a swarm of bees to sting with 3 wounds total, causes 1 wound a round and intense pain. Deadly Touch: With a successful touch roll 2d10 against Hardiness or suffer Royal Fever. Spirit Form: She can take the form of a spirit and while in that form is immune to mundane attacks and can drain 1 Hardiness on a successful Wrestle Roll. Wail: This causes so much pain to the ears and body that it freezes people in their tracks so long as she maintains it. 1d10 against Resolve. Imbue Weapon: She can poor Misos magic into her weapon, causing it to do 4d10 Fire damage with each attack for 3 rounds. Defy Gravity: She can walk upon walls or ceilings as if on a normal surface. This also allows her to leap twice the normal distance of others. Lasts for ten minutes. Cloak of Resist: This cloak is made from Sertori skin and resists magical attacks giving her a 1d10 Resist (Against TN 10). In our game Sertorius, Sertori are powerful magic-wielders, perhaps even demigods. This gives them a lot of clout and is a bit of game changer at times depending on the make up of the party. Groups with a good blend of spells can be a potent force in the setting, dethroning kings, taking cities and just generally running amok. This is part of the fun of the game, but it doesn't mean the Sertori face no threats. Some people worship the Sertori, some people fear them, a few choose to hunt them. While we do not make a lot of noise about it in the rulebook, there are several such opponents described in the setting. There are four major Sertori hunting groups in the rules but I will only talk about three because one of them is a bit of a GM secret. I find using the following people and organizations sparingly helps keep players on their toes and can turn the tables in an interesting way. The first is a group led by Gesara of Palus in the Vaaran Kingdoms. She has the ear and loyalty of King Hanno-Kar, who believes in her campaign to purge the world of Sertori. She is fully described in the NPC section of the book. She is just a normal human with no magical abilities but what makes her dangerous is her knowledge and her network of followers. She also is protected by a couple of Krut (monsters that are particularly skilled at killing Sertori) and many ogres (who are resistant to Sertori magic). Because she is so close to the king and Sertori are actively hunted in Palus, Gesara makes a great enemy. I've expanded on her a lot in my own campaign and will be posting new ideas and twists for Gesara here in the coming months. The second group is my personal favorite: The Monks of Isharna. They don't just hunt Sertori, they also hunt the servants of the gods (called Den Dwellers), Grim Beasts and other monstrosities (even the gods themselves). They are led by a Sertori named Isharna and he doesn't hunt them indiscriminately, he only goes after Sertori he considers a threat to humanity. Armed with a number of powerful items they exert considerable influence in Phra Goa and any Sertori passing through would be wise to be on their best behavior. The third threat to Sertori is the city of Qam'ua. Led by a High Priestess of Sul named Dhala they believe Sertori should serve them and they use an item called the Horn of Senga to make them their slaves. The Horn enabled Dhala to create an inner circle of 12 Sertori who do her bidding. This allows her to hunt, kill and even enslave other Sertori. Qam'ua exists on an important trade road and is certainly to be avoided by Sertori who know its reputation. These are the major Sertori hunters in the Sertorius rulebook. Like I said there is one other significant group but they are a bit secret and require a bit of rummaging in the text to find. Next time I will talk about another threat I added to my own campaign that isn't in the rule book: The Blood Cult. We've been hard at work on Wandering Heroes of Ogre Gate. I want to share a random sampling of Kung Fu Techniques from the game. 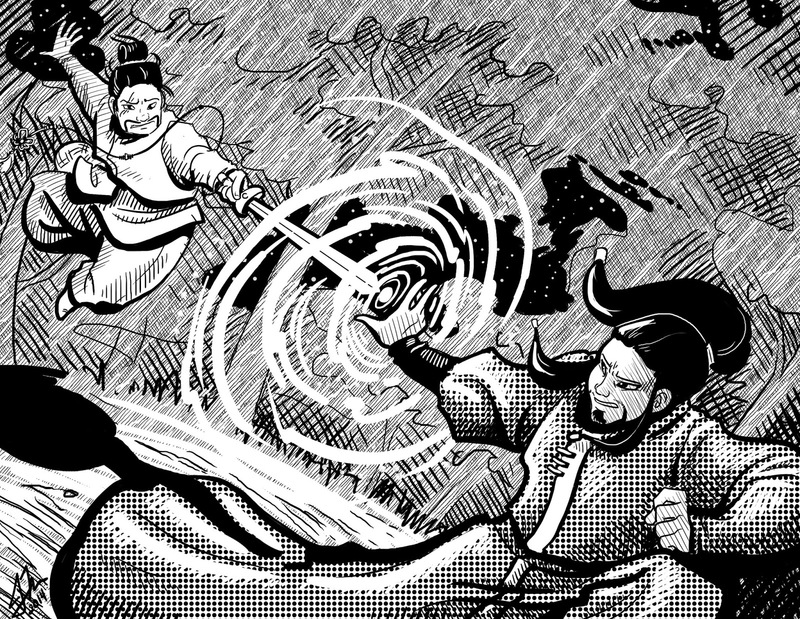 Kung Fu Techniques are the game's foundation, they are what you use to achieve dazzling results in combat. Each Kung Fu Technique belongs to a Discipline. There are four in total: Waijia, Neigong, Qinggong and Dianxue. Characters have ranks in each discipline to reflect their general aptitude for that type of technique. Every Kung Fu Technique is keyed to a particular skill. You use this skill to perform the technique. Kung Fu Techniques also come in a variety of types. The most important are Normal (which are standard attacks or skill uses) and counters (which enable you to block, interrupt or counter attacks as they occur). Qi levels are also important in the game. Every character has a Qi rank from 1-6. This increases over time as you beat foes with more expertise than yourself. Qi rank often affects how powerful a Technique is. Time is simply an indication of how long the technique takes to execute. There are quite a few techniques in the book so far. We are still working on them and testing them in play. The ones below will likely be subject to some changes before release. One thing we are trying to do is keep the text of each technique to as few words as we can. This is because each character begins the game with 6 Kung Fu Techniques and gains more as time goes on. Therefore we want to keep them as simple as possible. In some cases we have to use more words simply out of necessity however. You lash out with your fly-whisk, its tethers extending unnaturally long to reach opponents and entangle them. Roll Light Melee against Parry. On a success you can extend the lash of your fly-whisk to wrap around foes or disarm them at a distance (5 feet per rank of Qi). Anyone struck can be pulled toward you that round (though they can make a Muscle roll against your attack result to get away). Catharsis: When used cathartically you can throw your opponent causing 2d10 falling damage per rank of Waijia. In a frenzy of stabbing motions you skewer multiple opponents and inflict grave injury against them with your sword. Roll Light or Medium Melee once and apply it to five targets within reach. Anyone struck takes 2 Automatic wounds (no additional damage roll). Catharsis: Anyone struck takes 3 automatic wounds (no additional damage roll). With lightning speed you turn your sword to deflect an incoming ranged or thrown attack back at the assailant. When someone makes a thrown or ranged attack against you, you can try to counter with this by Rolling Light Melee against a TN equal to their attack roll result and Evade (whichever is higher). On a Success you deflect the object back at the attacker for 2d10 Damage per rank of Qi. On a Total Success this increases to 3d10 Damage per rank of Qi. Cathartic: When used Cathartically the attack flashes with energy and delivers 2d10 Open Damage per rank of Qi (3d10 on Total Success). You retreat quickly against a vertical surface evading your opponent’s attack, holding a horizontal stance that defies physics, your body parallel with the ground. You deliver a counter attack from this position. To perform this technique there must be a wall or similar object for you to retreat to (a tree, post or other vertical surface will work). It can be used whenever someone attacks you. Make an Athletics roll against TN 7. On a Success you evade your opponent’s attack and can make an immediate mundane attack. Catharsis: As above except you can deliver a Mundane Attack or Kung Fu Technique.